From time to time I make notes for a book I will never write. It would be called Ten Inventions That Ruined the World. Some of them, I would have to confess, like the automobile, have redeeming qualities even though the automobile has ruined the world. Others like television have no redeeming qualities at all. I was reminded of my book that will never be written when I was in England a week or so ago. I reached old age in the summer this year and realized that I should travel while I still can to places I haven’t seen before. The English countryside was my first destination. Of course I began in London. I took the tube at dusk on the day I arrived and then walked to have dinner with Claudia Roden at her home. Claudia is the author of exceptional cookbooks that combine food information with history and culture; she is really as much anthropologist and historian as writer and cook. Her home is in the north of London not a long walk from the Golder’s Green station and I looked forward to the walk as well as to seeing her. When I turned the corner from the main road I began to smell something very familiar. I knew exactly what it was, a smell I used to welcome each year in September and October. I had forgotten it. No, that’s not right. I hadn’t forgotten it as I have thought about it at this time of year every year for two or three decades and have missed it, the sweet and sour, acrid, acidic, woodsie, musky smell of drying and rotting leaves. Autumn has always been my favorite time of year. Its colors, dark and burnished, have always appealed to me. The overture to winter has always seemed cozy to me. Darkness seems cozy. Autumn more than any other season stimulates my memories of childhood. I remember raking leaves on the hilly front yard of my family’s home in west Baltimore, creating piles on the side of street, jumping into those piles to hide. Our trees produced enough leaves to line the street heavily along our lawn. It was the smells that have been most important of all to me, the smells of autumn that are even more evocative for me than the perfumed smells of spring. I thought as I heard my feet crunching leaves on that London street and smelled what I think of as autumn perfumes how rarely I have that treat in Washington. Well, of course, another of the worst inventions of my lifetime has replaced the sounds of crunching leave with those of a loud whiny engine just as it has replaced the sweet and sour odors of rotting leaves with the smells of burning gasoline – the leaf-blower of course. People write to neighborhood list-serves at this time of year objecting to the sounds of leaf-blowers. I agree with them. A number of years ago I spent a great deal of time in Yountville California helping to open Bouchon Bakery. Every restaurant and hotel in that little town had its own leaf-blowing team on the streets every morning, a population of machines so large that it seemed as if every leaf had its own captive blower. The din was impressive and I tried to persuade the then-mayor to adopt a new town slogan: “Yountville, Leaf-Blowing Capital of America.” What I didn’t realize at the time because Yountville has no real seasons is that we were all being robbed by that infernal machine of all the smells of nature. Here in Washington too but especially at this time of year when every embassy, every apartment and office building employs leaf-blowers or puts the machine into the hands of staff already there. I never understand. Why did leaves become the enemy? Why is a pristine sidewalk more attractive than one covered with nature’s debris? I understand why leaves should be raked once or twice during the fall, but every week? Everyday? Why? And so I was so happy that evening walking the streets in northern London to listen to the crunch of dry leaves under my feet and to smell the complex perfumes of those wet leaves underneath. Mike Friedman, the owner of The Red Hen, a really wonderful neighborhood restaurant in Washington, dropped by yesterday morning. He told me about telephone calls he has received from around the country and the number of death threats presumably from Trump supporters incensed about the denial of service to the White House press secretary at a restaurant with the same name in another place. My favorite story about a restaurant’s refusal to serve a customer was one Jean Louis Palladin told me in the early ‘90s. Palladin, in case the name is unfamiliar to you, was Washington’s first truly great chef. Incongruously located in the unfashionable basement of the Watergate Hotel, his restaurant was internationally important. Jean Louis contributed greatly to our development as a food culture, but that’s another story. Although Jean Louis moved to Washington when he was a Michelin two-star chef, the youngest person ever to have been awarded two stars – although he was a man of great self-confidence, he told me twelve years later that he was so hurt by the review that, “Every morning when I woke up my first thought was about what I could do to him, how I would hurt him the way he hurt me.” He got a chance only a few years later and only after Shoffner had written a second negative review. Shoffner came to the restaurant one night for dinner. When Jean Louis, in the kitchen, was told that Shoffner had arrived, he walked out into the dining room and told Shoffner he would not cook for him. Shoffner told him that the law required Jean Louis to cook; his was a public accommodation and coul d not refuse a customer. When Jean Louis did just that, Shoffner called the police. Jean Louis told me, “They came – there were two. One of them was ree-ally beeg and they were both wearing their pee-stoles and their talkie-walkies were loud.” Shoffner made his complaint to the police officers who after they conferred with each other, told Jean Louis that the law required him to serve Shoffner. Jean Louis retreated to his kitchen. He told his staff to prepare a dinner but to send none of the restaurant’s cooking. Instead they found a tin of fois gras a salesman had left months before. They served oysters on the half-shell with lemon, no sauces. They sliced prosciutto and bread and they served butter and cheeses. For dessert they sent whole fruits. The following day, I was told, Shoffner filed a complaint at the D.C. Office of Human Rights but I don’t know what happened to it. I do know that Shoffner’s enmity persisted because I was a witness to it more than ten years later. I have read a lot this week about a restaurant’s refusal to serve. I am an intensely political person and have been all my life. Indeed my political career began in 1948 when at the age of ten I walked door-to-door in a working class neighborhood not far from my grandparents’ home in Baltimore to oppose the Ober Law that imposed a loyalty oath on public employees in Maryland. I stayed political for many years working in many political jobs. In the late 1960s I worked for a United State Senator, Joseph Tydings, a Democrat from Maryland. Because my responsibilities included his press relations, I got around a lot in the Senate. One day I was in the press gallery to pitch a story on a criminal justice bill of which Tydings was the floor leader. Sen. Everett Dirkson, the Senate’s Republican leader, was giving a little press conference while Sen. William Proxmire, was waiting to make a statement. I watched Senator Proxmire, not the most light-hearted of men, subtly make faces that might distract Dirkson. When he finished saying what he had to say, Dirksen rushed toward Proxmire in the pretense of an attack, both of them laughing. Cokie Roberts has pointed out that politicians of that era, including her father, could be rivals but they couldn’t be enemies because they shared something that shaped their lives and feelings and politics, World War II. Their feelings about having been part of something truly momentous, a common experience in which they were allies, was reinforced in an earlier Washington where politicians didn’t retreat on Thursdays to homes in their districts, but lived here with their families where their wives socialized and their children shared schools. As Dirksen said, I am a man of fixed and unbending principles, the first of which is to be flexible at all times. That, as we all know, has changed. It’s hard to imagine such comity. When I was political we were competitive and committed but we were not angry. But now politics has left me and I am left only with those values that were always important to me. This is a time of anger. This week I have been wondering how I would respond if the President’s press secretary decides to come here to the bakery. Would I in this uncivil time be uncivil? What happened last weekend started as a dignified and private protest of a small business owner against a President, a presidency, and a politics she can’t bear. I have not heard that Stephanie Wilkinson, owner of the restaurant that declined to serve Sarah Sanders, was uncivil. It was not she who told the world about her stand. Why did Ms. Sanders use her great power to bring danger to a little restaurant in a small town in Virginia – not to mention the one here in Washington – and the one in Maine – and all those with the same or a similar name? I wonder what is now going to happen and I wonder what is right. The harassing of Secretary Nielsen in a Mexican restaurant. The discussion about whether all Trumpers should be harassed wherever they go. How may we who own food businesses in Washington, any of which might attract Sarah Saunders or Senator McConnell or Stephen Miller, express disagreement without incivility or should we worry about incivility at all? I have read the argument of those who say that Trump enablers do not deserve civility. I would be surprised if we in the heart of a residential neighborhood of Washington populated not by transient politicians but by people who live their lives here, ever see a Trump supporter. But if one of those who work for the administration – or others to whom graciousness and honesty are foreign ideas did come here, I think I would compromise. I don’t want either simply “to go high when they go low,” as Michelle Obama advocated, or, as Maxine Waters recommends, to harass people who are destroying our polity. I am in Carmel, California working on a book that’s in part about the romance of cooking. I don’t mean the romance of food. I mean of cooking. I began learning how to cook at approximately the same time as my mother began learning how to cook. My mother hadn’t learn it as a child because my grandmother whom I adored never cooked. She didn’t have to. She employed a cook who might have taught my mother but that woman, a fixture in my family’s life, didn’t want to. I don’t know how my mother would have acquired cooking skills if we had continued living in Baltimore, her birthplace and her mother’s and her grandmother’s, etc. But my father, then in the Public Health Service, was assigned in 1942 to Key West and then to the Florida Panhandle and therefore we all, my mother along with my two siblings and me, moved to Florida. She, at the age of 32 made cooking progress faster than I did at the age of four but she had advantages: she had to feed a family and she could read the one cookbook she had – The Settlement Cookbook which was the most important one at that time for Jewish home cooks. Those reassurances appear in many articles about food: Only four ingredients are required. Only ten minutes of actual work. And then they go to the opposite extreme and run articles about knife skills and how to poke meat to gauge its doneness, how to buy just the right pots and pans and immersion blenders, and smoke your own fish, and do sous vide at home – all of which reinforces the impression many people have: That cooking requires lots of expensive equipment and lots of skill. I am told as you are that many, perhaps most of the people who watch cooking shows on television don’t cook. They watch those shows because they enjoy seeing other people cook or because they like competitions. But I doubt that most people who read the food pages of newspapers do so just for their amusement. So why is the underlying assumption in newspaper food pages that people who read about cooking don’t know anything it? I suspect they do. I suspect that they love food and want to learn more about preparing it. For them ease of it may not be the most important matter. I wish we could get beyond the theme that cooking is hard and not worth a lot of your time; therefore we have this quick and easy recipe for you. It is true that some cooking these days exceeds the interest of most people. Few of us want to make our own spice mixtures and powders. Few of us want to buy sous vide circulators. Cooking from The French Laundry Cookbook is purely a labor of love and for serious hobbyists, not for people who want simply to make good food from good ingredients. It never occurred to me as a young person that cooking was hard or that is wasn’t worth my time. For me it was simply inevitable. My generation learned to cook as we grew up. In my boyhood I fixed foods after school for myself and sometimes for a hungry sibling too. As young people we cooked from The Joy of Cooking and then from Julia Child’s first volume of Mastering the Art of French Cooking. That became a bit of a bible for nearly everyone I knew and it was followed by the comprehensive American Cookery by James Beard. My aunt gave that to me when it was first published and every time I consult it I think of her. Right now, in Carmel I engage in four activities, writing about food, Pilates, reading food literature, and feeding my weight reduction diet. When I arrived in Carmel three weeks ago, I bought dried pinto beans and chickpeas, canned tomatoes, V-8, and olive oil. The next day I went to the Monterey College farmers’ market (I found it on the Internet) and bought there some chicken backs and tons of vegetables. I used the chicken with vegetable scraps (parsley stems, asparagus and scallion ends, mushroom stems, and two carrots and an onion that weren’t scrap) to make a chicken stock. And that has been one of the bases of my cooking here. I have bought other foods of course: Fish from a really good market I stumbled on, avocados, root vegetables, mushrooms and artichokes from the Ferry Plaza Market in San Francisco. as well as Richutti chocolates with which I reward myself after dinner each evening for my unwanted abstemiousness. All sorts of fruits grow here, of course, including the best strawberries I have even eaten. Lemons and grapefruits grow on trees outside my door and that reminds me once again how different California is from the real world. But although all this fruit is wonderful for snacking, it’s my food preparation here that makes those newspaper attitudes so jarring to me. I made a vegetable stock in addition to the chicken one. I cooked in a little bit of olive oil vegetables and scraps that I then dumped into a pot, added water and salt, and simmered. I use this broth for cooking artichokes and poaching asparagus. It perpetuates itself as the vegetables I poach in it give it even more flavor. I have added to it a couple of lemon rinds and more scrapes and I thin it with additional water sometimes. I use it as a soup base too and added a bit of it to a sauce I made from red bell peppers, canned tomatoes, onions, garlic, anchovies that I use to top fish I cook in a frying pan. I keep the broth in the refrigerator. I made a second sauce in the blender I found in the kitchen of this two room cottage. Anchovies, avocados, lemon juice, toasted walnuts, olive oil, a lot of garlic, and the leaves of a whole large bunch of flat leaf parsley made a parsley pesto that is wonderful with my artichokes and asparagus and good to add to winter greens I simmer with a bit of the vegetable stock. I only have a few more days here and on Sunday I bought some small grape tomatoes grown in Mexico, violating my principle that tomatoes should be eaten only in season (our season). These I dehydrated in a small toaster oven to concentrate their flavor. It’s all so easy. Sometimes I have to correct foods I make by adding more garlic or by thinning with V-8 or by thickening with a little tomato paste. But there are very few rules. For example: I could use raw vegetables when I make stocks but I know that cooking them first (either roasting in the oven or simmering in a little oil on the stove) makes the soups more flavorful. Toasting nuts before eating them or using them as an ingredient increases their flavor. Raw garlic and raw onions both which I love can be too sharp; so I marinate them in lemon juice or vinegar before I use them raw as a garnish. But really even if I don’t do those things, everything works. It doesn’t matter if an onion is chopped finely or coarsely. I can add lemon or orange juice to a sauce or not. I can top any food with toasted nuts, or not. I can combine small pieces of cooked cauliflower to any other vegetables. I can use my little semi-dried tomatoes as a garnish for whatever I make. It’s so easy and relaxing and I remember that my mother used cooking as a way of getting away from her (by that time) six children and being by herself. I am entirely by myself here and cooking is for me a way to get out of my head. But I have to stop. I went to the farmers’ market last Friday but bought nothing other than farm eggs, artichokes, and strawberries. It was hard for me to limit myself but on Saturday much of the food I might try to take on the flight back to Washington would end up in the hands and perhaps stomachs of TSA agents whom I don’t care to feed. The theme that runs though the classic cooking literature I am rereading here – M.K.F Fisher, Paula Peck, Laurie Colwin – is that cooking food is itself nourishing. It is rewarding in visceral ways to think about ingredients and flavors and particularly to make do with what’s available and in season. Moreover the activity of cooking, joyful and engaging, ends with the pleasure of eating either with friends or family or the pleasure of solitary dining which is for me very peaceful. There is no form of creativity that is easier than cooking. And there is no form of creativity whose failure is less important than cooking. That’s why I find it hard to understand when people say cooking is too difficult, too time-consuming, too fraught. For me it is easy creativity. Failure is unlikely and, in any case, unimportant. When I grow up I want to be a weatherman. I don’t mean a “Weatherman,” one of those young radicals who took their rage to the streets of Chicago in 1969. I mean those whose prognostications I read each day in the Post and hear on NPR. The weather predictors were right last Saturday. They said we’d have rain and snow in the late afternoon and there was a bit of both. Not much. The roads weren’t slippery as they were supposed to be; but at least this time there was rain and there was snow when they said there would be. A few weeks ago on January 30th they had direly predicted a horrible morning of ice and snow; and schools were scheduled to open late. In fact a gloomy early morning turned into bright sunshine by 10 am. There was no snow and the streets were dry. Some parents, in the bakery with their children, weren’t happy but I was. Really I should have no complaints about threatening forecasts as an awful lot of neighborhood customers with children come to the bakery on those days when the weathermen (and women) predict doom and the schools close peremptorily. But others complain – even occasionally the weather forecasters themselves. I am glad he wrote that as it spares you from hearing from me what it was like in the late 1940s waiting in snowstorms at a corner of our block on North Avenue for a street car that would drop us off at the bottom of a hill a few blocks from PS 87. In recent decades, however, a strong forecast of snow following by the arrival of a storm came to justify staying at home from work and closing schools. Now, however, just the possibility of a storm, the prediction that a storm is likely to arrive, is sufficient to close whole school systems. I don’t blame weather forecasters for that. I don’t believe they intend to change the world as we know it when they forecast snow. But they do understand the consequences of their predictions; so why don’t they make those predictions with a modesty that should accompany their actual abilities. The newspapers display weather maps and forecasts not as though they are estimates or projections, but oracles. They certainly don’t say, “Our best guess is that this is what’s coming.” Instead they tell us how much snow we will have in Hagerstown, Quantico, and Jessup. As for television forecasts, they are like everything else done by television, dramatic and hyperbolic. Modesty, after all, doesn’t make good television. Indeed, if I may say, modesty has disappeared from many of society’s institutions. I remember the beginning of the weather channel in 1982. I thought it was a stupid idea, a television station devoted to weather. Who would watch the weather on television? I was visiting Boston then and a hurricane was supposed to strike Cape Cod. The Weather Channel was there to cover the emergency. A weatherman wearing orange gear and a hood was standing in a light rain, “We’re expecting the winds to pick up at any moment, Chuck.” Behind him joggers were passing peacefully. Naturally I was wrong about the success of the weather channel just as I was wrong about the golf channel but my bad predictions don’t cost anything, not even my pride. How is that for an expression of confidence in an establishment we pay so much attention to. “Confidence Medium?” Are you kidding. Would you make decisions about anything significant in life (like keeping children out of school) with a merely medium confidence? I wouldn’t fly in an airplane with medium confidence. I wouldn’t buy a cigar with a medium confidence that I’d enjoy it. We are held to certain expectations in this bakery. Our breads, pastries, and savories have to be good all the time; they have to be consistent. Customers expect a degree of civility in our service. We can’t fail very often to satisfy our customers. Certainly we are not unique in that respect. Who doesn’t have to satisfy their customers/patients/clients/guests? If weather-people have only modest confidence in what they do, why bother? Snow began falling at 2 pm and the Weather Channel on my telephone said at that moment we were having “light rain showers.” By the end of the afternoon there was a shimmer of snow on the streets, no ice, and little other than water was still on the ground when I left for the bakery on Sunday morning. “Since we are looking at the possibility of a real storm arriving Tuesday night into Wednesday, please keep track of staff. If we need to bunk people in hotels or my couch, let me know. Eun has greater respect for most things than I do – she’s a lot younger – and so she still trusts the word of those I rarely believe. I have a proposal: Several years ago I started to clip from the Post each Monday morning its five-day forecast. I kept a record on that day and on the four days thereafter an accounting of the five-day forecasts. I found that the forecasts published in the Post were correct 55 percent of the time. I think we should stop wasting all that money, all the television air time and newspaper space. All those weather-people could beat their radars into plowshares. I acknowledge that we should keep hurricane forecasting as it’s really important and seems to me more accurate than daily weather forecasts are. But otherwise, let’s let it go. It’s an immodest system. Indeed it’s not forecasting – it’s a best guess. So let’s acknowledge that they are right about 50 percent of the time and standardize the weather forecast. I am sure you know how important the end-of-year holidays – Thanksgiving, Christmas, and New Year’s Eve and Day – are to food businesses. Our customers celebrate the holidays in restaurants; they buy special foods from retail businesses like ours and from mail order. They particularly reward bakeries with appetites for special confections like stollen and bouche de Noel. They expect a lot from us and rightly so. It is one thing to go to a holiday party at a restaurant whose food disappoints you. It is quite another thing for you to serve in your home, to your family and guests something you buy from a bakery and be dissatisfied with that – in your own home, at your own table. Moreover, in many homes holidays are complicated. And those culinary disagreements are trivial compared to the emotions brought to holiday tables by family patterns and memories and losses. That’s why we feel responsible for doing the best we can. Still, Thanksgiving, I believe, is everyone’s favorite holiday. It is without stress about gift selection. As long as I can remember, Thanksgiving has been simply a festival of food. It’s a carefree holiday. I am nostalgic about Thanksgiving because it was, when I was a child, one of those we celebrated at the great brown cedar Victorian home of my grandparents in Baltimore. My siblings and I dressed up (now a quint custom) and plowed through piles of leaves (remember the beautiful smells of autumn in the pre-leaf-blower days) to join my aunts, uncles, and cousins for a great afternoon feast. That began with sherry in the living room and moved into the bright dining room where the “big table” was – that was for the adults – and into the music room where the “little table” was. The dinner was slowly served by my grandparents’ “staff,” soup first, then turkey and its trimmings, many other dishes, each year the same dishes, each year looked forward to. As the food was passed we divided ourselves silently and with no ceremony into two groups, those who didn’t begin eating until each of the dishes was on their plates and those who ate the food as they served themselves from the passed platters. The dinner was slow and calm and certainly abundant. It ended with apple, pumpkin and mincemeat pies and whipped cream, and having consumed those we crowded into the living room to talk (another quaint custom) usually about politics. I recall one particularly hot discussion in 1959 when my grandfather, a very active liberal, said he could not vote for a Catholic running for president. Thanksgiving is so much an American holiday that regions of the country have their own special dishes: Yams, oyster stew, cornbread, winter squashes, corn casserole, mac and cheese, wild rice, and creamed onions. I would like to think that like my family, most people incorporate their own food traditions into their Thanksgiving; but I don’t know if this is so. Eun, Bread Furst’s manager and my partner, recalls turkey mandu at Thanksgiving and that her family’s turkey was accompanied by a stovetop stuffing that incorporated Korean glass noodles. My family always made corn and tomatoes, a sweet and sour vegetable dish we always thought celebrates the autumn harvest, and creamed spinach; and like most Baltimoreans, we always ate sauerkraut at Thanksgiving because in 1863 when President Lincoln invented the holiday a large percentage of Baltimore’s population was German and sauerkraut was made part of the festival. Celebrating Thanksgiving in restaurants is a comparatively recent innovation as this holiday has traditionally belonged in homes. From the point of view of one part of the food-making industry, it’s not such a bad thing. Restaurants love to prepare Thanksgiving. Guests are cheerful and expectant, menus are limited and dinners start at Noon and don’t end until 10 PM. Ten solid hours of full houses. What more could a restaurant want? It’s fun to look at the menus of so many restaurants in Washington that are preparing for next week: fois gras and sablefish at 701, oysters and duck breast at Fiola Mare, Chicory salad and turkey with cornbread stuffing at the Oval Room, Applewood ham at Clyde’s, farro salad with green beans and country ham at Siren. Ashok Bajaj tells me that 701, his 24 year-old restaurant is going to prepare Thanksgiving dinner for 600 people. And that’s just one of the ten restaurants he owns. Bread Furst, on the other hand, is a retail store and what we are preparing will be eaten in your homes on Thursday. Some of what we are going to be making, cranberry sauce, for example, can be made a few days in advance and indeed benefits from early production. But much of what we are offering, mashed potatoes for example, must be made as close as possible to the feasts. That is why we are open on Thanksgiving Day – so that those foods will, when they reach your tables, be fresh as well as the breads we’ll be making. People who make foods for a living always balance two goals, to be consistent and to be creative. Depending on their roles, they bend toward one or the other. Bread bakers are interested almost entirely in consistency; they are creative only occasionally. Pastry chefs, on the other hand, love to be creative. But making 620 pies – that is what we are making this year – doesn’t leave much room for creativity. To do that much production in a small bakery like ours without doing it in advance and freezing it requires organization, long hours, discipline and lots of storage space. So we repress our creative impulses and focus on making good foods for Thanksgiving. I remember with embarrassment one Thanksgiving many years ago when I decided to be creative and adapt our traditional dishes. I suspect my siblings still remember my garlic cranberry sauce. For me, ever since then at Thanksgiving tradition reigns. Q: Pineapple & Pearls – Cancellation Policy – They REALLY mean it! Hi Tom, This is more a public service announcement / discussion topic than a question, but please give it a read. Pineapple & Pearls’ policy –announced upon booking and in follow-up reminders–is to charge half the prix fixe cost for your party upon booking and the balance on the reservation date, with a refund of the first tranche available only if the reservation is cancelled at least 5 days out. I reserved dinner at the bar for my husband and myself in July. My husband, who’s an active duty military officer stationed overseas, was flying in for a few days, and I booked us for the night he was scheduled to arrive. He arrived on time…and went straight to the emergency room with hallucinations and a 106-degree fever that developed on the flight from something he’d had contact with before departure for the U.S. Very scary. I called the restaurant, repeatedly, as I was driving to the hospital to advise that we wouldn’t be coming; no one picked up, and voicemail wasn’t offered. I sent an email. My husband spent the night in the hospital but recovered fairly rapidly after a generous dose of Cipro. I heard from the restaurant the next day: They very kindly inquired about my husband’s welfare (good) but explained that they did not make exceptions to their cancellation policy and would not offer either a refund or a credit (wow). So, PSA for those booking at Pineapple & Pearls: No refunds / no exceptions. Period. Full stop. If your dining companion dies, you’ll still have to pay for his or her meal. And, discussion point: Is P&P’s policy, as implemented, reasonable? On one hand, they advised me in advance, and I implicitly consented to the terms. I appreciate that it’s a slippery slope–where to draw the line once you begin making exceptions? On the other hand, COME ON! REALLY?!?! If the food is as soulless as the management, we didn’t miss anything. When competing in a market such as ours (fine dining) it is becoming necessary and often common practice to treat the experience like that of a sporting event or a concert/show; treating it like the sale of a “ticket”. Just like a concert or show, when one gets sick or has to cancel for any last minute reason, you unfortunately forfeit the ticket. With that said, we only apply this policy for cancellations within 24 hours of the experience. Cancellations made prior to 24 hours are issued refunds of varying amounts depending on the timing of the cancellation (5 days, 3 days, etc). This type of policy is something we have to stick to in order to provide the experience we do at the price point we offer. In situations like these, please know that our front of house and guest liaison team do not take it lightly. We understand that dinner with us is often times a celebratory event and something that our guests have been looking forward to for quite some time so when situations like these arise, we do our best to offer options if they are available. We offer guests to transfer their reservation to friends or family members and we reach out to concierges in the area with calls to see if they might have guests that have interest in dining with us and filling the open seats. I can assure you that last minute cancellations keep our staff up at night more than any other issue. For us, the only fair way to handle these situations is to firmly hold to our policy because otherwise we would then be in the business of quantifying hardship, which is an inconceivable practice. In our ideal world, circumstances would be different but we strive to do the best we can with what we are given. Thank you for the opportunity to weigh in. This response stunned me and I have been talking since last week’s chat to colleagues about it. Restaurants these days have to endure costly uncertainty. “The people we have always called guests are becoming just customers.” That’s what Ben Arnold, our head of production, says; and he is putting it gently. What he means is that the civility and dependability on which restaurants and customers always depended has broken down. I get annoyed when a restaurant – or a dentist for that matter – calls to ask me whether I am going to honor my reservation or appointment, but I understand why they do that. People aren’t dependable anymore. Plumbers fail to come after having promised to do so. Bills don’t get paid when they are due. And on a bad night 30 percent of the people who have reserved space in a restaurant don’t call to cancel and don’t show up. What this means is that restaurants that under good circumstances make modest profits cannot be profitable. It means that each night when they open they open uncertain that their staffing will be high enough or not too high and their ingredients and preparation will be at the right levels. Airlines deal with customer undependability by overbooking their flights. The executives who guide those sophisticated systems of prediction need never encounter bewildered or angry customers who can’t get on flights for which they are ticketed because the overbooking was excessive. But a restaurant that overbooks inaccurately or whose customers stay longer than predicted has to deal face-to-face with customers who angrily endure 45 minutes waits for their tables, ruining their experiences that are supposed to be fun. That’s why some restaurants these days don’t take reservations and instead make their “guests” stand rain or shine on the streets for hours just for the privilege of buying the restaurants’ food. As you can tell, I dislike that solution to the problem, but the problem is real. Until I read the exchange on Sietsema’s chat last Wednesday I thought that the “ticket solution,” prepayment of restaurant dinners was a good idea. I still think it can be but it hadn’t occurred to me until this exchange that it would be implemented with such rigidly. If I buy tickets to a World Series game and find I can’t go, I have a chance to sell the tickets by going on line or to the stadium box office and peddling them. If I could afford a ticket to Hamilton and then be unable to use it, I could sell the ticket on line or go to the box office and make flirtatious eye contact with eager tourists. But guests who pay in advance for a restaurant meal have no such selling opportunities, at least none that I know of. There is no marketplace. People don’t stand in front of a restaurant hoping to snare a ticket from customers who can’t go. In this woman’s sad case only Pineapples and Pearls could create a means of selling tickets. But that would require the restaurant to devote resources to rescue customers who have paid in advance. Pineapples and Pearls did not answer its telephone and that woman who bought those tickets had no opportunity to ask for the help that an elegant and popular restaurant might be able to give – for example, to offer the tickets to a hotel concierge who could sell them to eager hotel guests. It is the stark ungraciousness that upset me most about the exchange. We in the food business are in the hospitality business. We are feeding people. 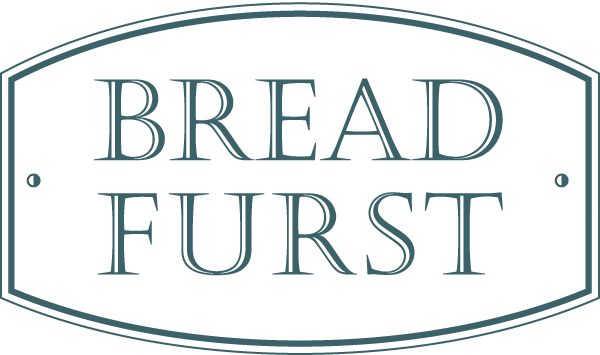 However much confidence we at Bread Furst have in our foods, if a customer complains about a food we make, we refund his/her money. We in the food business are not performers, not rock stars, says my partner, our general manager, Eun Yim. We are one generation away from having been considered slightly ignoble craftspeople. Television food shows, of course, have changed our status but celebrity doesn’t justify haughtiness. We ought to be gracious to people who want to come to our establishments and as well to those who have good reasons for being unable to come to dinners for which they have already paid. Such people are not the same as those who make reservations at four restaurants before deciding at the last moment which one they fancy that evening. We ought not to allow this latter group of entitled and irresponsible people to drive us away from the graciousness that is a central part of our lives in food. Mr. Silverman, if he didn’t want to refund the money, could, had he wanted to do so, have offered that woman a table on a different evening. Generosity, it seems to me, is among the powerful reasons for being in the food business. I don’t go to restaurants like Pineapples and Pearls but not because of this. I am uncomfortable about spending on a dinner as much as these experiences cost. I go to restaurants to eat good food and talk to friends. I don’t go to restaurants to see performances. And in any case I just don’t care for multicourse meals. But I know that to other people, particularly people younger than I, enjoy these showy celebration dinners, think they are fun and worth the money. What this celebration restaurant did, what Mr. Silverman calls “necessary” and “common” is neither. My grandmother was in love with the English language. She abhorred pretension and embraced simplicity. She respected English too much to use many modifiers in speech or writing. Good language didn’t need them. That’s my problem and I should have chosen mathematics as a profession or some other field in which language is unimportant. Instead I chose food, rich in clichés. Is food uniquely dependent on them or am I just too aware of them? These days every food ought to be artisanal, handcrafted, curated and locally sourced; and restaurants are chef-driven. When for goodness sake did chefs become chauffeurs? I understand that repetition is inevitable and don’t mind the use of words like “luscious” or “tasty” that are opinions or “house-made” or “seasonal” that are facts. But for goodness sake! “Honest food?” What on earth does that mean? There is a Web site called “honest food” and it features gluten-free and no-fat foods. What then is dishonest food? Why is there so much repetitious gibberish? “Signature” as in “our signature cheeseburger.” “Habit-forming” as in our French fries. It’s hard to write about food. Phyllis Richman, restaurant critic of the Washington Post for 24 years, used to say that one of her greatest challenges was finding fresh ways to describe foods. But can we agree that “sumptuous” and “sensual” – if they were ever-fresh terms, are not any longer. I understand it’s hard but not looking for more precise adjectives seems to me to be laziness and a discourtesy to readers. I don’t wish to be one of those old fogies who think that everything was better in the old days. Perhaps I have become that because I do believe that more people paid more attention to the elegance of their writing than is the case right now. It is not fair to blame what I think of as a decline in writing entirely on journalists because it is not only journalists who write about food. 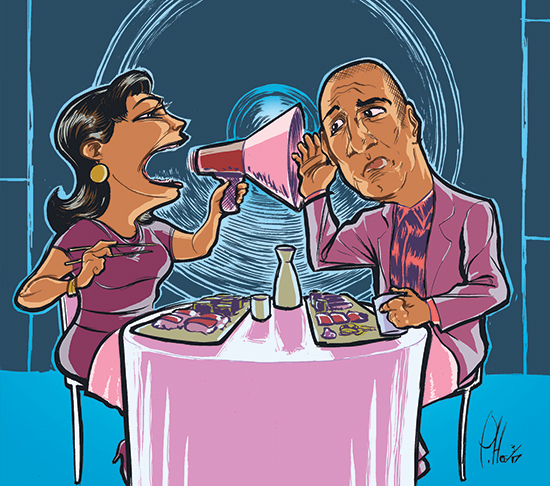 In volume, those who sell food write even more – on menus and Web sites – and they have a vested interest in pretention. A bartender fixes drinks and sells them for, say, nine dollars but a cocktail that is “hand-crafted by our expert mixologists” sells for $15. “Hand-selected salad greens?” Not in our bakery. We try to keep our hands off those greens. We do get mixed greens from local farms. They come in cardboard boxes and cost more than those that come from the produce delivery company. Often we doctor the greens with some herbs and bitter greens. But “hand-selected?” Who does that? Where do they do that? Are their hands clean? Clichés are irritating but some are not only irritating but downright misleading. More important than that, the term “free range” is meaningless. Sometimes it means eggs from birds that live outdoors and wander in yards. But sometimes it means nothing at all. That depends on local law and local honesty where the term is regulated at all. It means that “artisan bread” no longer has a meaning – if it ever did. Certain terms – or should I say clichés – I just can’t bear. “Decadent” when used to describe a food seems like a term insulting to me. I am decadent when I eat it? “Addictive” is just hyperbolic and silly. “Curated” is overused for all sorts of collections but is particularly pretentious when used to describe food collections. “Meltingly tender,” nearly always used to describe meats and “cooked to perfection,” a description associated most with hamburgers, “velvety,” applied generally to soups along with “silky,” and “tasty,” bland adjectives usually called upon in desperation. I think we can do better? Writing about food is not easy but many have done it awfully well. There’s no reason for food writers to be content with words like “toothsome” and “mouth-feel.” They should read or reread Ludwig Bemelmans and A.J. Liebling. I don’t mean to be unfair. Not everyone can be an M.F.K. Fisher or Laurie Colwin. But I really do believe that reading about food ought to be nearly as good a food experience as eating. It’s also a lot less caloric. My friend David Hagedorn is a food expert. He talks about it, writes about it, cooks it, even eats it. He was a pioneer in the city, the chef-owner of Trumpets, a Nineties restaurant and nightclub near Dupont Circle. Now he writes. As a restaurant critic, it’s my job to write about the total dining experience, not just the food. A lot of factors play into a customer’s overall impression of a place, including the décor, libations and, most importantly, service. In the end, it really comes down to one question: Would you go back? For restaurateurs who want to ensure that the answer to that question is always yes, here is some food for thought. Service doesn’t start at the door. It begins the moment a diner calls a restaurant or visits the website. The site, by the way, should be user-friendly with the address, phone number, hours of operation and social media information on the home page. The menu should be easy to access and always include prices. A no-reservation policy is, in my opinion, bad service. When the person who answers the phone asks if he can put the caller on hold, he should give the caller time to say “OK” before pushing the hold button. Valet service (if it is offered) is usually subcontracted, but that isn’t a pass for restaurant management to ignore what’s happening at the curb. The valets should be providing the same level of respectful service as the staff inside. And wouldn’t it be great if restaurants could figure out a way to put the valet charge on the bill so diners don’t have to take out their wallets before they even walk in the door? Being a host is one of the hardest jobs in a restaurant. These front-line workers are usually paid very little and yet they are expected to placate unhappy patrons with calmness and élan. The host should not be left there untrained, alone and unempowered to fix problems that may arise. Passing off inexpensive construction as hipster minimalist design may save money, but it furnishes discomfort and is therefore a disservice. I am tempted to create a keyboard shortcut—Control+Alt+Yawn—for the following scheme, which sadly applies to the majority of today’s new eateries: “an open, subway-tiled kitchen, concrete floors, exposed ductwork, Edison bulbs dangling from the ceiling, wooden benches and chairs as comfortable as buckboard.” Bunker décor is not awesome. Lack of soundproofing. When noise—laughably rebranded as vibe or buzz—freely bounces off multiple hard surfaces, it makes conversation next to impossible. Form over function. Silverware that sinks into the middle of a wide, shallow serving dish and into a pool of sauce when I try to rest it against the rim? Not great. The same goes for heavy-handled flatware that falls to the floor (or onto me, which has happened plenty) when plates are cleared. Skimping on drink lists. Why should four people have to share one cocktail menu? Print more. I usually test the bar by ordering a Hendrick’s Gibson and asking if they have good cocktail onions—not the nasty little ones from Sysco that have been festering in the same jar for five years. If there are no cocktail onions (immediate deduction), my Gibson becomes a martini with an olive. So here’s a question: If chefs are pickling everything else under the sun—as the current culinary trend seems to be—why not cocktail onions? Or at least keep a small jar of a good brand on hand. (I recommend mixologist Todd Thrasher’s, which are available at http://www.societyfair.net.) In the same vein, chuck those chemical-tasting maraschino cherries and invest in some tasty Luxardo cherries instead. Today’s drinkers are sophisticated. Rise to the occasion. Next, we are forewarned that the food will come out when it’s ready. Which means that if we don’t want to be in and out in 20 minutes, we have to keep at least one (possibly oversize) menu on the table or under one of our chairs so that we can set our own pace and order course by course. That’s not service; it’s the opposite of service. Compounding this scenario, a server will invariably show up with our next course in hand, find the table filled to capacity, and look to us to do the rearranging to make room for our garlic shrimp and beef skewers. These will show up with three skewers to a plate, even though the order is meant to be shared by four people. And if we are supposed to be sharing all this food, why are we only given bread-and-butter plates to hold it all? The Spiel. And The Spiel is to be avoided at all costs. We know how to read, right? If the menu is so complicated that it needs to be explained or translated, the owner or chef needs to rewrite it. Validating or complimenting my order. I know what I ordered is a good choice. I just made it. Auctioning off entrées tableside. To determine who ordered what. Servers need to learn guest position numbers and use them. Accidentally pouring flat water into my sparkling water. Restaurateurs, here’s an idea: Use a different glass for sparkling water. Problem solved. Throwing the kitchen under the bus. 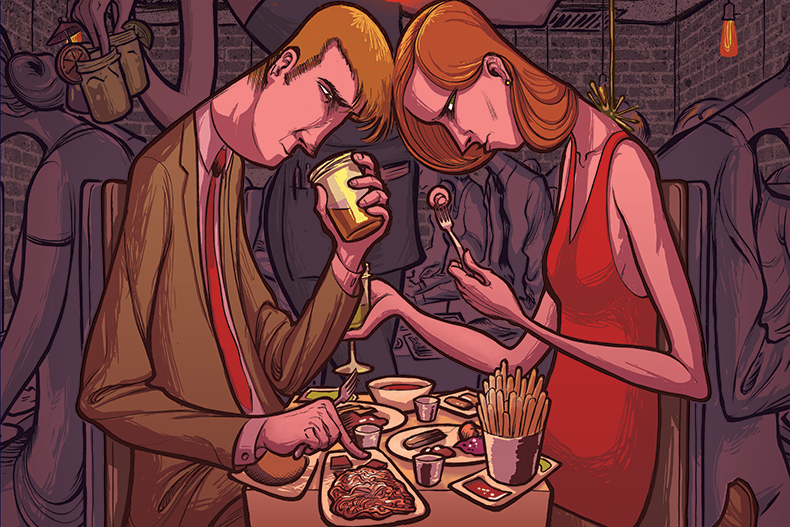 If the food is taking too long or if the order is wrong, don’t play the blame game. Get a manager involved. Stacking plates when clearing the table. Just don’t. This isn’t a mess hall. Bringing containers to the table for me to pack up my own leftovers. When did this bit of service become the diner’s responsibility? Turning on the charm right before the bill comes. This, after being inattentive or less than pleasant all the way through the meal? I mean, c’mon. Fingerprints all over the front door. This is the diner’s very first impression of a place. Cloudy water in flower vases. Especially in a giant arrangement at the host stand (a clear signal that other things might be off). Brown-edged lemon or lime wedge garnishes. Tables that aren’t set with salt and pepper. Sour-smelling beer coolers and mats. This odor is instantly recognizable and off-putting to diners. Dust. On light fixtures, shelves or displayed beer and liquor bottles. Or anywhere else, for that matter. Crumpled or smudged paper menus. These should be single-use items. Print more. Call me old-fashioned, but I long for the days when I could squeeze soap into my palm, turn a faucet on, wash my hands as long as I pleased, turn the water off and dry my hands on an actual piece of cloth. Nowadays I find myself performing a Marcel Marceau mime routine in every automated restroom, waving my upturned palm under the soap dispenser until it finally relents (or not)—at which point I have already given up and moved my hands to the faucet, doing the same hand dance for water that may or may not come. In no particular order: dish-towel napkins (although I’d take them over polyester napkins), filament bulbs, Mason jars, mussels, burrata (there’s a lot of badly made burrata out there), branzino, beet salad, pickled everything, menus that play it fast and loose with food terms (not everything sliced thin is carpaccio; not everything cooked and chopped up is rillettes; not everything raw and chopped up is tartare), Brussels sprouts (especially deep-fried ones that are burnt or drenched in anything sweet, like maple syrup or honey), octopus, badly shucked oysters and finally…(deep breath) overwrought desserts that are rife with powders, gels, foams, drizzles and shredded pieces of sponge cake. As a man who dines out four times or more per week, it’s hard to recall every detail and every transgression in every place. But if asked the fundamental question, Would you go back? I would say yes to these restaurants, all of which deserve shout-outs for getting the service angle right on my most recent visits (in no particular order): Ambar, SER, Requin, The Liberty Tavern, William Jeffrey’s Tavern, Rus-Uz Restaurant, Social Oyster Bar, Yona and Live Oak. David Hagedorn is the food critic for Arlington Magazine and Bethesda Magazine. He feels 10 pounds lighter having gotten this off his chest. Tom Sietsema’s spring dining guide, an annual restaurant listing of the Washington Post, appeared when some of us at Bread Furst were still in Chicago for the awards of the James Beard Foundation. Those honors are conferred in the first weekend of May each year in an extravaganza, a weekend of parties and restaurant dinners followed on Monday evening with a celebration in the beautiful art deco Civic Opera House. I skipped the red carpet. I had walked on it for the previous two years and felt uncomfortable about that fuss. Beside, it was raining and I didn’t want my bow tie to get wet. The “outstanding baker” award is the first of the evening to be announced. The award was first given in 2015 and when it was given to me the other day I was of course happy but sharply aware of the subjectivity of it all. After all, Dan Leader of Bread Alone, Steve Sullivan of Acme Bakery, Michael London of Mrs. London’s were bread bakers before I became one. None of them has been nominated. Michel Suas, like me, nominated each year, has done more for American baking than any other person. But it was I who won the award this time. We returned from Chicago on the release date of Tom Sietsema’s spring dining guide, an annual listing of the Washington Post. Tom offered two this time, one of old restaurants and another of new ones; and the lists reminded me of the award I had received the day before and about the capriciousness of such choices. Some of my favorite restaurants were in the Post’s list – Mintwood Place, Oval Room, Charleston Obelisk, and others — but many other celebrated restaurants that he likes were not. What happened to Corduroy? How about Woodberry Kitchen, Rasika, Pineapples and Pearls and Bad Saint (neither of which I have ever been to). Tom Sietsema is my friend and I know that he likes those restaurants too but they were not in the dining guide because (I imagine) he wanted to make room for others like La Piquette and Perry’s that also deserve to be included. And not every restaurant can be listed. There are now a lot of very good restaurants in Washington and there are now a lot of very good bakers in America. Selecting mean excluding and this year having been given the Beard award this time, I am the beneficiary of that.